No Southern state can match South Carolina's ability to resist the claims of black people without becoming the object of national scorn. Since 1954, cities like Little Rock and New Orleans, or small towns like Clinton, Tennessee, have become discredited as riots and mobs formed and did their ugly work. It was in relatively progressive North Carolina that the sit-in movement began. It was in proud, sophisticated (and boss-dominated) Virginia that a county closed its entire school system to prevent "race mixing" among the vulnerable young. It was in Jacksonville and St. Augustine, Florida, that bloody racial fights took place over and over again. Mississippi's notoriety needs no mention, nor do Alabama's Selma and Birmingham. In Albany, Georgia, one of the decisive battles of the early civil rights movement was fought. Through it all South Carolina remained relatively untouched and unnoticed, an island of unyielding segregationist defiance—managed and run, though, by exceptionally clever and cool political leaders who long ago learned how to dress up the rankest kind of hate and exploitation in those lovely, old, "fine-appearing" clothes that go under the name of "southern gentility." Things were not always so shrewdly done in the state. Early in this century "Pitchfork Ben" Tillman and Cole Blease and "Cotton Ed" Smith went up to Washington from South Carolina and easily set the standard for any young, aspiring Southern politician who wanted to know the ins-and-outs of racist demagoguery. Back home, the state until recently was caught in a series of vicious and stormy feuds: between "city folk" and the farmers; between the highland, the industrial piedmont section, and the low counties along the coast; between mill workers and mill-owners; between proud, haughty, lovely, more than faintly decadent Charleston and the rest of the state, thought to be so boorish by the old seaport's self-conscious aristocrats, who have always known that a taste for azaleas, palmetto trees and antique furniture can keep the mind off those touchy political issues; and most of all, between the races, the whites and the many hundred thousand blacks who until around 1930 made up a majority of South Carolina's population. It used to be that, in Rupert B. Vance's succinct words, "the ability to make a class appeal without offering a class program" took a skilled and loudmouthed politician to the governor's chair in Columbia and then up north, where the floor of the United States Senate had to be turned into the cheapest of backwoods stumps so that the "good white people" back home would feel racially redeemed if not well fed. 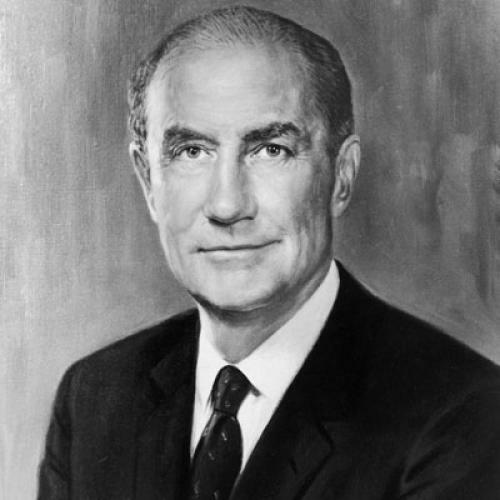 Now a senator or congressman from South Carolina can take the home-front for granted and keep his eyes on much larger things—in the case of Rep. Mendel Rivers, the whole military establishment, and in the case of Sen. Strom Thurmond, the men Republicans nominate for President and Vice President. south of Charleston; and just off the mainland, we spent time on Hilton Head Island, one of a number of colorfully named islands—St. Helena, St. Simon, Jekyll, Racoon, and most important, Parris—that hover over the coasts of Georgia and South Carolina. Once pirates escaped to Hilton Head and Parris islands; now Marines by the thousands are there, and also rich tourists, who come to places like the Sea Pines Plantation for golf and sun and swimming, and often enough remain there forever in attractive homes purchased from the Plantation, which is both a resort and a company that among other things develops land, builds houses, plans whole communities. We had lunch at Sea Pines, but we also went to other parts of Beaufort County, to the homes of white and black people who live near the Plantation or the famous Marine base on Parris Island, or a Naval hospital at Port Royal, three miles away. With us was Dr. Milton J. E. Senn, a distinguished pediatrician, Sterling Professor of Pediatrics at Yale, and for a long time, head of Yale's Child Study Center. Also with us was Dr. Donald Gatch, a hard-pressed general practitioner, a white man who works among the poor of both races—alone, day and night, often for nothing. "I told those investigators to go look at my patients, dozens and dozens of them," Dr. Gatch told us. "I told them that it's a disgrace that investigators are sent down by the government to bother me —1 work about 18 hours a day with those people and I don't live in a big, fancy house—rather than the conditions here, the way these people have to live. There's a lot wrong here, but there must be a lot wrong in Washington, too." In 1968, as Lyndon Johnson's Great Society comes to an end, as Richard Nixon's Presidency, dedicated to so-called "forgotten Americans," gets ready to begin, we saw "a lot wrong" all right, and we saw "forgotten Americans" all right: "Well, no sir, there just isn't no work for me. There isn't. So, I don't have any money coming in, none. I have my neighbors and my brothers and they help. And I hope maybe soon I can get some work. Now my wife, she's sick, real bad sick, and I don't know what I can do. What can you do if you don't have a dollar and your woman, she's bleeding, and your kids they seem sickly a lot of the time?" He is white, a white South Carolinian, a member of Mendel Rivers's constituency. Mr. Rivers makes sure that billions of dollars go to arm this nation, but he certainly isn't going to do all that, only to let communistic schemes develop in Beaufort County—schemes that would provide that proud white Southerner with food and medical care and the work he craves. Down the road we visited another family in Mr. Rivers's district. The home stands on cement blocks, a wood and tar-paper shack, with newspapers stuffed in cracks here and there. There is no running water, no central heating, no electricity, not even an outdoor privy. Water is toted from afar, and it is bad water, pumped from a well that does not go deep enough, and is contaminated. The fields nearby take human waste; and flies and mosquitoes are everywhere. The house has no screens. In winter a small coal stove provides all the heat that eight American citizens will get. Beaufort County has a food stamp program—unlike some other counties in the state—and here is how that works: "You've got to have money to buy the food stamps, and if you don't have any, you can just go and starve to death. My husband is with me, and so we can't get any welfare, not a penny of it. He can't get work, and we don't know what to do. I guess you go north or you starve. If it wasn't for the little we grow and the fact we all try to look after each other, we'd be dead right now; yes sir, most of us would just be dead and gone." Beaufort and Jasper counties are full of disease and hunger and extreme poverty. "We need a hundred Dr. Gatches," the woman in that cabin went on to tell us. "When you're born, you haven't much of chance here. Chances are you'll die before you should. I can't believe God meant for us to bring children into the world, only for them to go hungry all the time, and be sick every last day of their life." Her doctor agrees with her. Dr. Gatch describes the conditions in the county so grimly and sadly that he can easily be dismissed as hysterical or overworked and fatigued ~ until his listeners, become his companions as he, makes his medical rounds: "They're born in those shacks, hundreds and hundreds of children every year. If I don't deliver them, no one does—except the husband or a relative or a woman who calls herself a midwife, but has no training whatsoever, and keeps on shouting 'push, push' at the poor woman. Then from the day they're born they know trouble, the kind of trouble I once would never have dreamed existed in this country. Their mothers are poorly nourished. If they have a good milk flow, that's lucky; but you don't see bottles here, or many bottles of milk in these homes. The infant gets sick and there's no one to see him, no hospital for him to visit, no doctor or nurse—unless they get to me. Pretty soon the baby becomes hungry, then undernourished, then malnourished. His body doesn't have enough protein, or vitamins or minerals. His bones don't develop as they should. His muscles become weak and flabby. His joints are swollen. His skin is covered with sores and infections. He may get a cold—and die, die in a matter of hours; or they live on, but with all kinds of things wrong with them. You wonder how they do manage to live on." We saw many of those children, and we saw the things wrong with them. We saw the food they eat: old, stale bread and grits and more grits and gravy over the grits. We saw sick children, sick with not one or two but a whole series of diseases. Dr. Gatch claims that every day he sees diseases like rickets, scurvy, beri-beri and pellagra. Medical students are taught that those diseases no longer exist in America; and upon our arrival Dr. Senn questioned Dr. Gatch very carefully about his patients, about their problems and symptoms. Then we all went to see them, the men and women and children we had talked about in a doctor's office; and we did indeed see what those medical textbooks describe: weak, lethargic children, with swollen legs and swollen bellies; children whose skin was dry and rough and infected and discolored and ulcerated and excoriated; children whose muscles were wasted, whose bones were quite obviously deformed; children who were no longer hungry, because they were too ill to desire food. Later, we discussed the blood tests that had to be done to clinch a diagnosis of this or that vitamin-deficiency disease—in contrast, that is, to such "routine" diseases as anemia or pneumonia or the worm infestations. But tests or no tests, Dr. Senn could only say, "Yes, the clinical picture is not only one of malnutrition, but vitamin-deficiency diseases—which really aren't supposed to exist in this country." Not that we need any new and fancy medical or sociological studies of Beaufort County or dozens of counties like it in South Carolina and elsewhere. The facts are all there: 17,536 people in that one county have an income under $1,000 a year; 31,064 see less than $2,000 a year; 1,145 families get less than $1,000 per year; only 898 people receive public assistance; in 1965 the infant mortality rate, among the very highest in America, was 62.4 per 1,000 births, the kind of figure one expects to see beside the name of an underdeveloped nation in South America, Asia or Africa; about four percent of Beaufort's people have health insurance; about half the county's people have less than eight years of education and 20.4 percent have been declared "functional illiterates"; over a third live in houses called "substandard"; and among blacks about four-fifths of the population has not gone beyond elementary school, and many have never had any schooling at all. "One third of a nation is ill-housed, ill-fed, ill-clothed," said Franklin Delano Roosevelt in 1933. The white people of Beaufort County still have reason to say amen, and as for the black people, they must insist that the figure be doubled at the very least. WE DOUBT THAT Senator Thurmond or Representative Rivers will be much troubled by all those facts—obtainable from federal agencies located virtually next door to their offices ~ or by reports that thousands of their constituents are hungry, sick, jobless and penniless. But neither of those two honorable men can afford to ignore the implications of another set of medical statistics. In 1962, an article appeared in Public Health Reports called "Study of Intestinal Helminth Infections in a Coastal South Carolina Area." Hundreds of people were tested for worms, tested in order to determine the prevalence of parasitic infections in Beaufort County. Over 70 percent of the people examined carried worms inside them, and over 80 percent of the children were so infected. Dr. Gatch can show his visitors X-rays in which long worms are seen happily and snugly rooted in the intestinal walls of both young and old, black and white American citizens. He estimates that over 90 percent of his patients suffer from round worms. Naturally the parasites have to live, so they feed off their hosts, who develop anemia, lassitude, weakness—and worse, because the eggs of some worms are carried through the blood to the lungs, where they incubate and frequently cause pneumonia. Of course, children in Beaufort County are always getting pneumonia, or so the socialistic Dr. Gatch says: "They'll be weak, anemic, underfed, and living in those shacks. A freezing spell comes, and they've had it; a baby dies here, another one there, next door. And the worms, they go all over the body—to the eyes, the lungs, the stomach, the liver. The other doctors here never see any of these people; and then when I describe conditions like these, they turn on me and call me every name in the book." He has indeed been called every name in the book, and threatened with death again and again. For testifying before the Citizens Board of Inquiry into Hunger and Malnutrition in the United States, at hearings held in Columbia, South Carolina in November of 1967, he earned the additional contempt of his colleagues, who can't see why he "bad mouths" his neighborhood. If he is shunned by other doctors, he has a devoted following among people of both races—and his ideas are CER—a project that has so far cost the Plantation over $15,000. A number of families have been singled out for an educational and medical program whose ultimate purpose is to determine how the county can essentially be freed of the worms that plague its people. The rich and powerful (and rather liberal) owners of the Plantation know that medicines alone cannot solve the problems. So long as houses lack decent sanitation and clean water the eggs and worms will reappear, however successfully eradicated (for a while) by a program of chemotherapy for everyone. Poor, badly educated people can be taught better habits, but they also need better homes if they are to stay well—and come to work as cooks, janitors and maids at places like Sea Pines Plantation, or for that matter, the Marine Base on Parris Island. At Sea Pines they are examined every six months for worms, which in Beaufort county can only be considered a tentative and ineffective effort at medical surveillance, all of which the men who run Sea Pines know very well. They also know that the tourists who come to their lovely and even spectacular resort would not take kindly to the news that worms are all over Hilton Head Island and Parris Island and Bluffton and other places in Beaufort county. Nor do the thousands of American soldiers and sailors stationed in the county deserve exposure to worms—which a nonmilitary employee can always bring in. We have heard a lot these days about the role of private enterprise—and the Department of Defense—in the war against poverty. Perhaps the people who run Sea Pines Plantation and our Marine Base on Parris Island will persuade their congressman and senator that a lot has to be done nearby—not to further communism, but protect a lot of free enterprise in their state. CERTAINLY THE POOR people of Beaufort County, for all their sadness and weariness, would respond to any help that came along. In the midst of a very gloomy stay we happened to notice a sign that announced "Hilton Head Fishing Cooperative, Inc." Perhaps we were looking for something, anything to distract us, to divert us from the overwhelming misery—so much of it, and present everywhere, in shack after shack after shack, without let-up. We drove down a long, dusty road and met a strong, well-spoken man who is one of the Cooperative's officers. "It's bad here," he started out, but he also had a little hope for us: "A lot of people here they're gone. They're as good as dead. A lot of others, they go north—and then white people down here laugh, because they've got rid of us. And in the north, they get angry with us, and they forget it was down here that they treated us like this, and drove us so hard that we're half-dead, more than half-dead, by the time we get up there. I know, because I see people leaving here all the time. They carry South Carolina up to New York, and down here, the white people say 'good, good we got rid of them,' and up there, the white people don't get angry at the white people down here, no sir. They take it out on us. Yes sir, that's the way. Eventually they got their FHA loan, and now the dock is built and a processing house is half done. We walked on the dock and on a beautiful southern mid-afternoon we could see those shrimp boats coming out of the Atlantic into the nicely protected cove. One boat had already docked and been emptied. Its crew worked busily on deck; the head of each shrimp had to be separated from its meaty tail, the part we eat. The men took the shrimp between thumb and forefinger and in a flash the head was gone, and the rest of the shrimp at rest in a growing pile. Later the cargo would be washed, weighed, put on ice—and inspected by visiting buyers, from Charleston and as far away as Tampa. Yes, the sea was refreshing, and its quiet, uninterrupted blue, its gentle wind, and its sandy edges offered a brief respite from all we had seen and were to see. But we had other reasons to feel good. The black shrimpers appeared vital, confident, proud and industrious. They talked easily with the white buyers, and with some white shrimpers who were asking to join them. They also were showing some tourists around, guests at the Hilton Head Hotel, which is part of Sea Pines Plantation. For a moment, in front of the sea, all the barriers of race and class and region meant nothing. For a moment poor black men could help poor white men and even teach a few things to rich white men. Yet up there in Charleston, that same day, The News and Courier, which seems to look upon the 20th century as one giant conspiracy, had other things to shout about than Beaufort county and its problems: "For 20 years, ever since Nixon exposed Alger Hiss, the master communist spy, the communists have hated and feared Richard Nixon. Hanoi would do anything to block Nixon's election. The communists know that with Nixon in the White House they would be in serious trouble." Now that Mr. Nixon will be going to the White House perhaps The News and Courier and Senator Thurmond and Congressman Rivers will be able to relax, sure at last that the Republic is no longer about to go communist. Perhaps they will look at other threats—at the death that stalks their state: death of infants; death of bones; death of muscles and skin; death of the mind and heart and spirit of thousands and thousands of American citizens. The day after his victory, before he headed south, Richard Nixon said he wanted to bridge various "gaps," between the young and the old, between the races, between his supporters and his critics. If he is interested, if he means what he says, he will find no wider gaps than the ones that prevail in his friend Strom Thurmond's South Carolina. At last South Carolina's distinguished Senator will have influence in the White House, because at last Mr. Nixon has got there. We have been promised real leadership from a man who aims to forget the political deals and maneuvers of the past and turn his eyes to the history books. The people of Beaufort county, who have their own history to live with, every single day, can only sit and wait. This article appeared in the November 30, 1968, issue of the magazine.